Scout & Nimble is the world’s premier marketplace for shoppable designer rooms and home décor. The company was founded by Jesse and Sam Bodine in 2013, a husband–wife team. 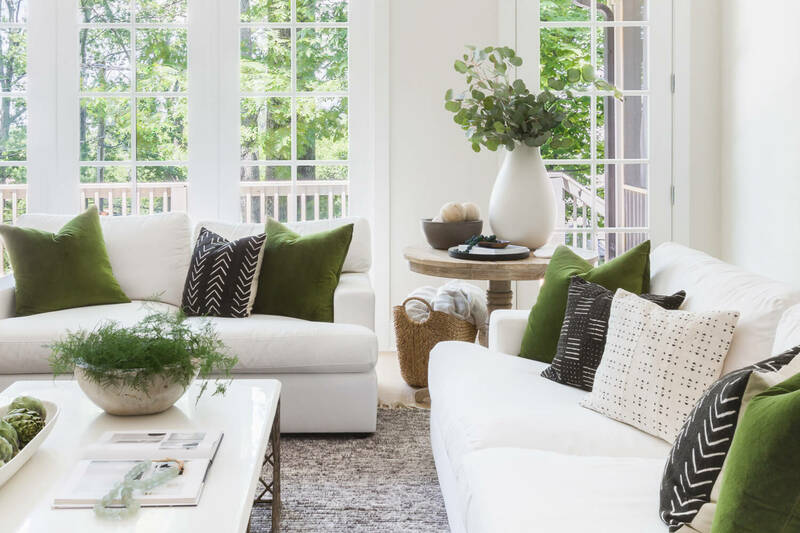 What started out as a blog by Jesse in 2011 evolved into a successful home decor business extended to designers, stylists, and customers around the United States. 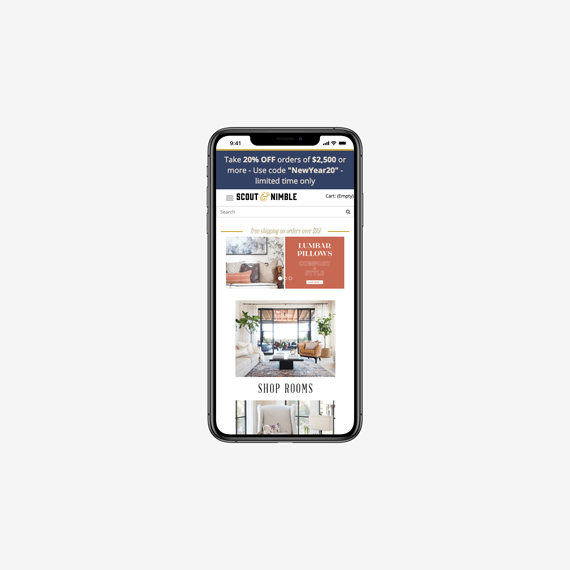 Scout & Nimble is a social commerce platform that works with interior designers to curate shoppable rooms utilizing the available software & products. Since it’s an online marketplace, everything is customizable for the consumer. They’re able to shop by room, designer portfolios, color, product, etc., all to fit their particular needs and interests. Interior designers, decorators and design bloggers, who are all key influencers in this industry, create shoppable room designs using the unique room building software and products so that consumers can shop with confidence and purchase items from a room put together by perhaps one of their favorites, all without the cost of the designer. Not only does Scout & Nimble allow designers to showcase their work in the form of shoppable rooms, but it also provides them with the e-design tools to help them scale and grow their business. The essence of their idea was to build a designer-driven and curated retail site that sold furniture and home décor. 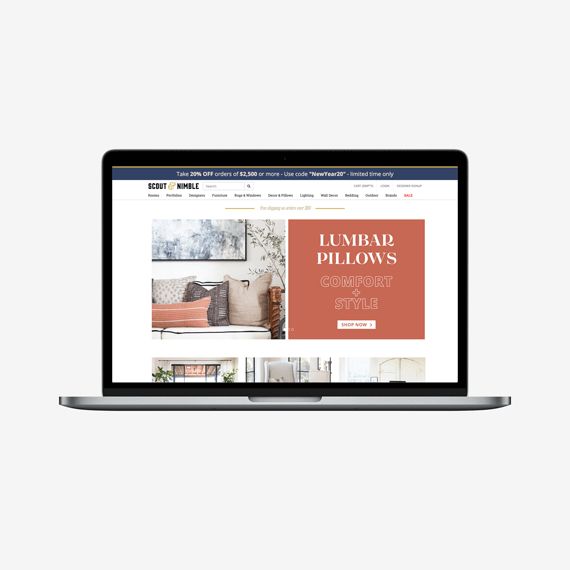 With tons of inspirational visuals that aim to help customers arrange their rooms with products from the webstore and operating very large traffic. Scout & Nimble is a home decor e-retailer that leverages interior designers to curate shoppable room designs. It needed a design-driven eCommerce solution equipped with e-design tools for creating entire shoppable rooms. 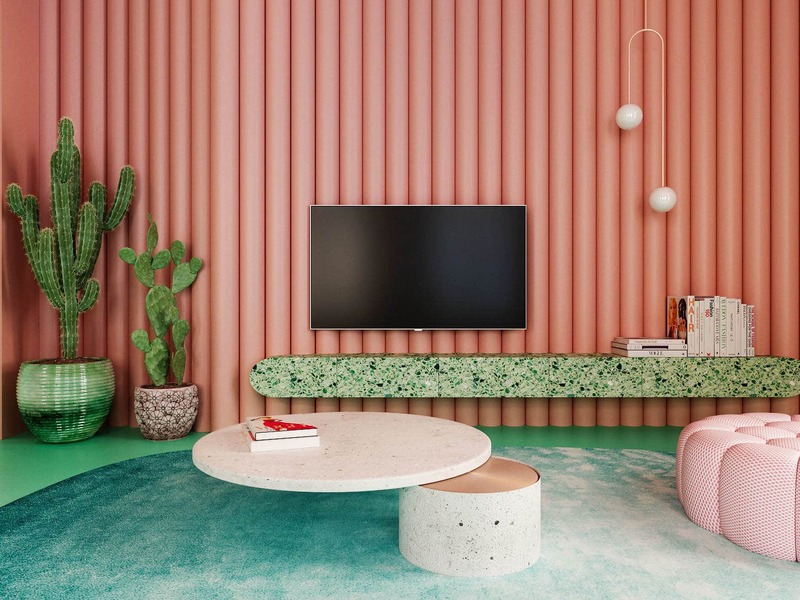 The company chose Spree for its custom online platform that connects the user with the community of interior designers.